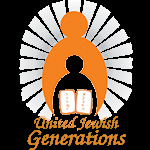 We are currently offering the opportunity to dedicate our websites - unitedjewishgenerations.com and floridajewishseniors.com, for a month or a year in honor or in memory of a family member or friend. Our site receives numerous visitors monthly and we are constantly increasing our efforts to keep our visitors up to date with pertinent information on local events & classes. In addition, we provide a virtual Torah study center for people of all backgrounds and ages & hundreds of other useful tools & features. Consider being a proud sponsor of our websites. Your donation of $180 per month (or $1,800 for the year) will help facilitate our online endeavors. Please contact us for more information or to make a website dedication.